Shintoism runs deep throughout Japanese religion even when outwardly Buddhism may appear predominant. This is based on fusions and gentle ideas that have penetrated various different Buddhist sects. Indeed, even when it appears that both Buddhism and Shintoism have become marginalized by the structures of high rise buildings and delightful fashion areas of major cities like Tokyo and Osaka, the old world remains even if sometimes in the shadows. On top of this, the power of the old world survives during traditional festivals and on important special occasions. In line with highly modernized societies, you can feel the deep differences of rural areas and highly developed parts of Japan. Of course, you have special centers of religion throughout Japan including Koyasan, Kyoto, Nara, and Nikko. These areas of culture, faith, knowledge – and other powerful areas associated with high culture – vary enormously. 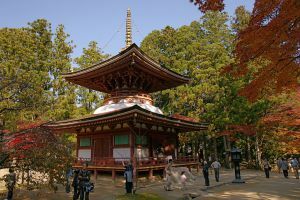 For example, the splendid majesty of Koyasan is based on the stunning backdrop of nature and the remoteness of this stunning location that serves the Shingon Buddhist faith. Alternatively, in Kyoto, this city is highly developed and the population is relatively high. Therefore, despite many refined Buddhist temples in Kyoto, amazing museums, lovely gardens and other realities connected to high culture, the reality of modernity shines within areas of refinement. 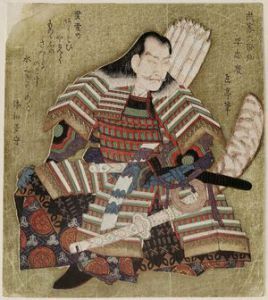 In the realm of Japanese folklore and the spirit world, then you have normal areas like art galleries and kabuki plays that naturally flow within the high culture of this nation. Similarly, films and dramas sometimes dwell on the old world of demons, ghosts, and spirits. Likewise, Japanese animation and other areas related to modern culture may fuse aspects of the old world from time to time. 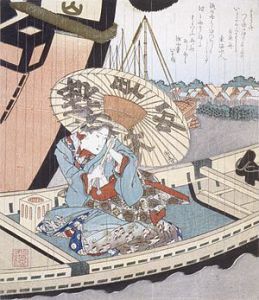 The power of ghost stories during the Edo and Meiji periods of Japanese history were cherished based on natural entertainment and the power of modern developments during this period of history. 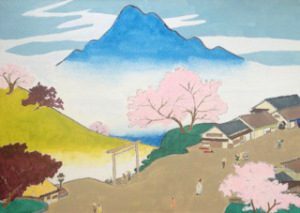 After all, aspects of ukiyo-e and kabuki – within the many broad themes that both focused on – could come alive based on visual factors and the power of actors in relation to kabuki. Indeed, some modern murders were portrayed within both ukiyo-e and kabuki despite the grisly nature of the topic. 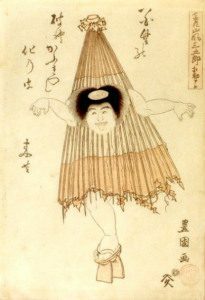 Alternatively, the natural old world of demons, ghosts, and spirits became popular themes for many ukiyo-e printers and artists. The spirit of the old word still connects strongly within Japanese animation, therefore, several of the most powerful films in this sector have been based on this reality. This applies to Spirited Away and the rich underlying themes of culture in Princess Mononoke. 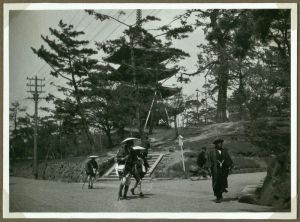 Therefore, while the old world appears natural within the holy places of Buddhism and Shintoism that dot the land – and within the art world of ukiyo-e, literature and aspects of kabuki – the themes of the spirit world, demons, ghosts and power of Buddhism and Shintoism still connect strongly within modern areas of Japanese culture. This notably applies to animation, comics, traditional festivals, special cultural events and video games.